The first Shenley Church End CC "Club Event" of 2008 is to be the eating and drinking spectacular called "Peakers' Pork Pit" held on May Day Bank Holiday, to be held at the esteemed residence in Otter Close, Bletchey. The name was aptly taken from "an excellent BBQ shack in Montego Bay", gained from Peaker's numerous visits to Jamaica, and last year's events saw meat sweats, beer and good music grace the household. The festivities get underway on Monday 5th May 2008 at 2:00pm until late! 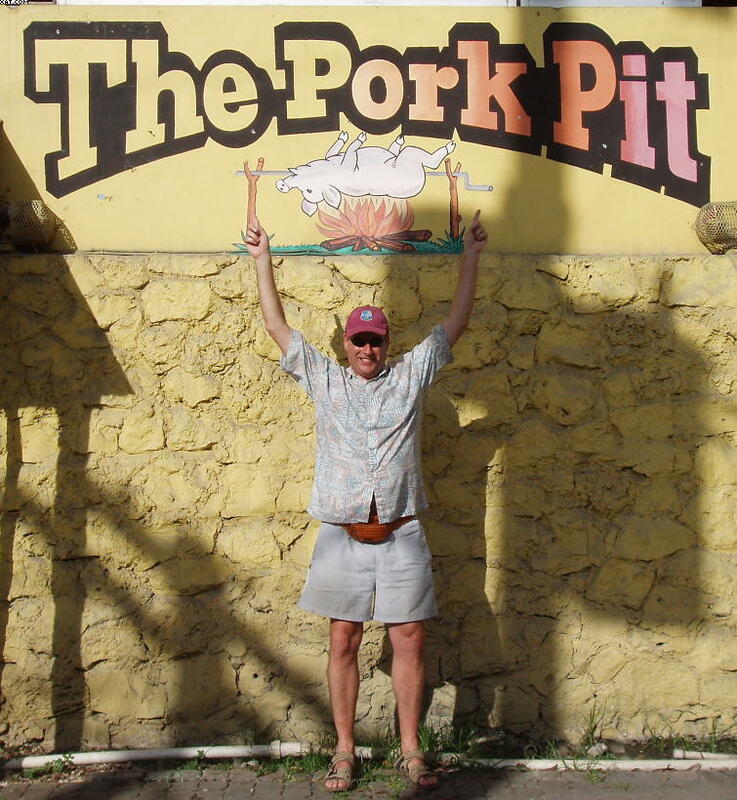 As this is a Bank Holiday, and we have no cricket fixture, I hope you can all make it to the Pork Pit. I guess I'll be firing up around 2.00pm and the thing will keep going as long as you want it to. People of all sizes and eating skills are welcome. A child friendly zone will be created as well as an old people's area with a special Presidential chair. I'll get a certain amount of eating and drinking materials but would hope this could get topped up during the afternoon by way of donation from attendees. I recall Fletch bringing a small iceberg last year to help the beer to stay cool. Mmmmmmmm beer. Please give me an indication if you intend to be there (partners of all types are very welcome) so I can get the right amount of salads in for Dave Morley and Anton.